Researchers found that eight weeks of hatha yoga classes moderated stress levels and led to better performance on challenging cognitive tests. 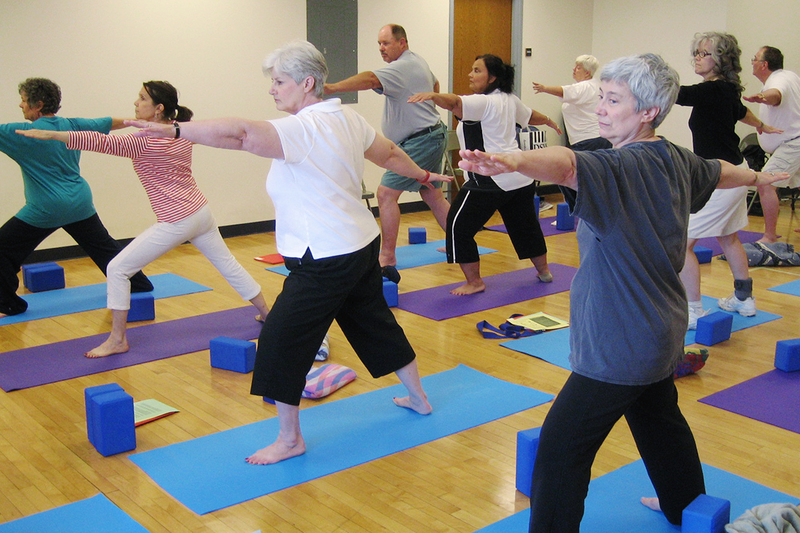 CHAMPAIGN, Ill. — Older adults who practiced hatha yoga three times a week for eight weeks were better able to manage stress and performed better on cognitive tests than their peers who engaged in a stretching and weight-training program for the same amount of time, researchers report in the journal Biological Psychology. 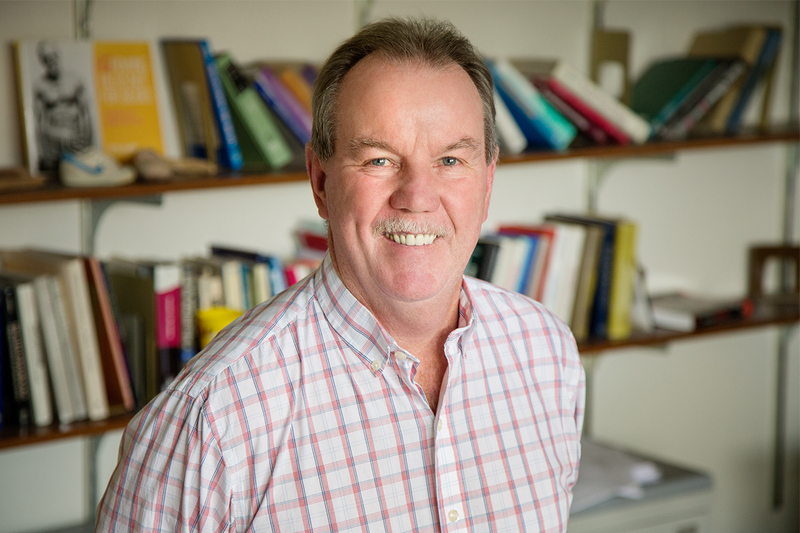 U. of I. kinesiology and community health professor Edward McAuley directs the Exercise Psychology Laboratory, where a new study testing the cognitive effects of yoga was conducted. Study participants were 55 to 79 years of age, had no mental or physical disabilities and reported being sedentary for at least six months prior to the study. 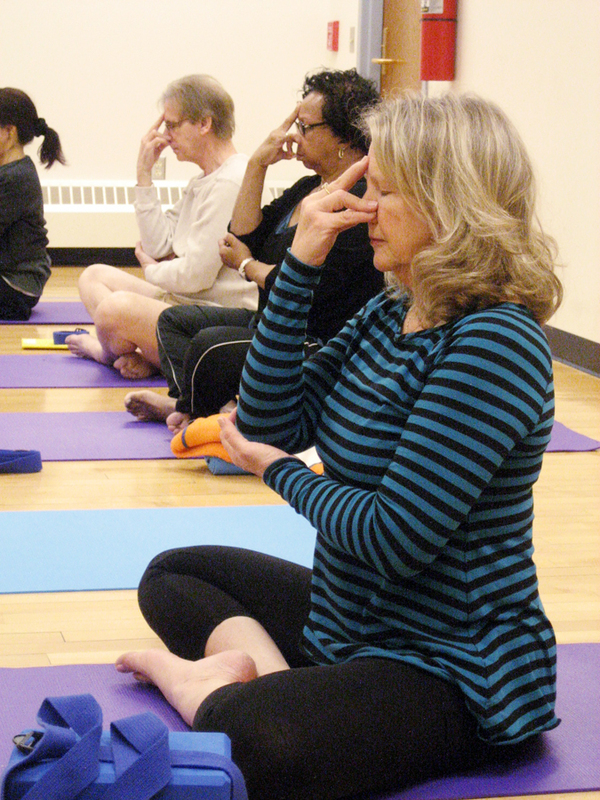 Roughly half of the 118 participants were assigned to a hatha yoga class; the others engaged in a stretching and toning class. The team also measured levels of cortisol (a chemical marker of stress) in the saliva to gauge participants’ stress before and during cognitive tests, which were conducted at the beginning and end of the eight-week program. The tests challenged their ability to hold information in memory and to multitask. Hatha yoga is an ancient spiritual practice that involves meditation and focused breathing while moving through a series of stylized postures, said Neha Gothe, who performed the work while a graduate student at the University of Illinois with U. of I. kinesiology and community health professor Edward McAuley. 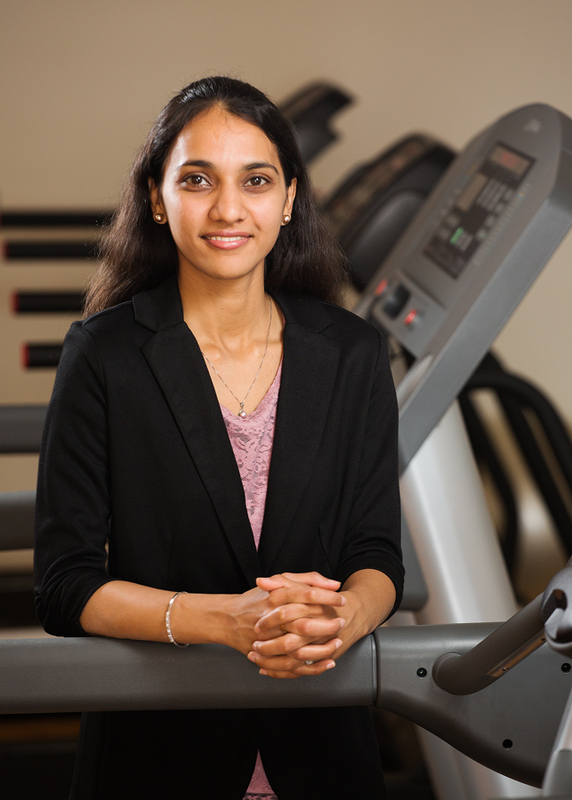 A new study from U. of I. postdoctoral researcher Neha Gothe and her colleagues found a link between hatha yoga practice, lower cortisol levels and better performance on cognitive tests. 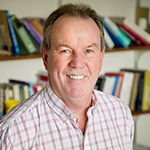 Gothe is now a professor at Wayne State University in Detroit. The study is a follow-up to a previous analysis of the same experiments, said Gothe, now a professor at Wayne State University. Other studies have found that hatha yoga practice can lower cortisol levels in practitioners, Gothe said. Previous studies have shown that yoga can have immediate positive psychological effects by decreasing anxiety, depression and stress. The stretching group, however, had significantly higher cortisol levels while performing the cognitive tasks at the end of the intervention. The differences between the groups were not the result of differences in age, gender, social status or other demographic factors, the researchers found. 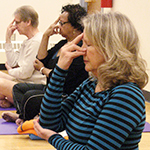 Participants in the yoga group took the same amount of time to perform the cognitive tasks as those in the stretching group, but their answers were 4 to 15 percent more accurate, Gothe said. “Findings from this trial provide preliminary evidence that nontraditional physical activity interventions, such as yoga, may serve to balance neuroendocrine levels in older adults, thereby preventing or slowing cognitive decline,” McAuley said. The National Institute on Aging at the National Institutes of Health supported this research. 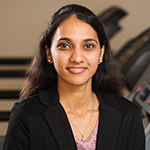 To reach Neha Gothe, call 313-577-6222; email nehagothe@wayne.edu. To reach Edward McAuley, call 217-333-6487; email emcauley@illinois.edu. The paper “Yoga practice improves executive function by attenuating stress levels” is available online and from the U. of I. News Bureau.